View the technical data, including maximum axial and lateral movement, number of corrugations, etc. for single, multi-ply and externally pressurized metallic expansion joints. 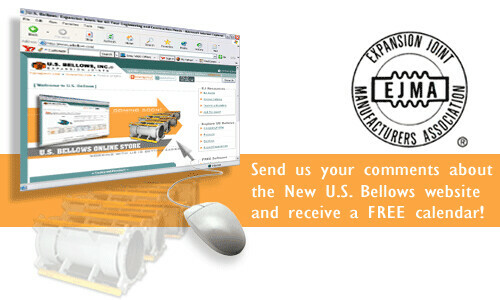 Would you like for U.S. Bellows to come out to your office to make a technical presentation on expansion joints? Contact us at +1-713-731-0030 or on e-mail at sales@usbellow.com to setup a time and date.